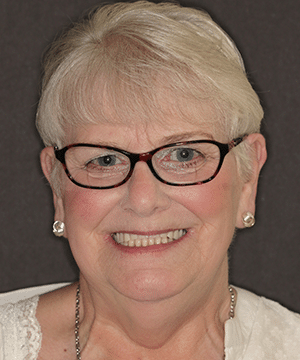 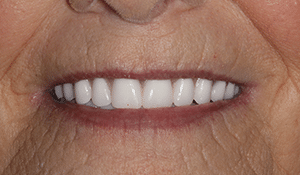 Dr. Strickland mad her a new upper and lower denture. 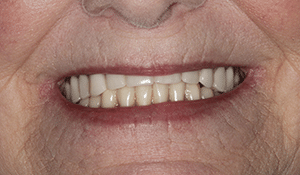 She is thrilled with how her new teeth look. 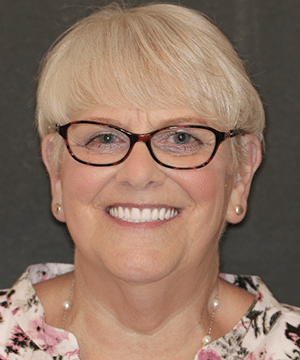 She says that people are always asking her if she has done something different like get her hair done, but no one has been able to guess that she has new dentures and that makes her feel great!